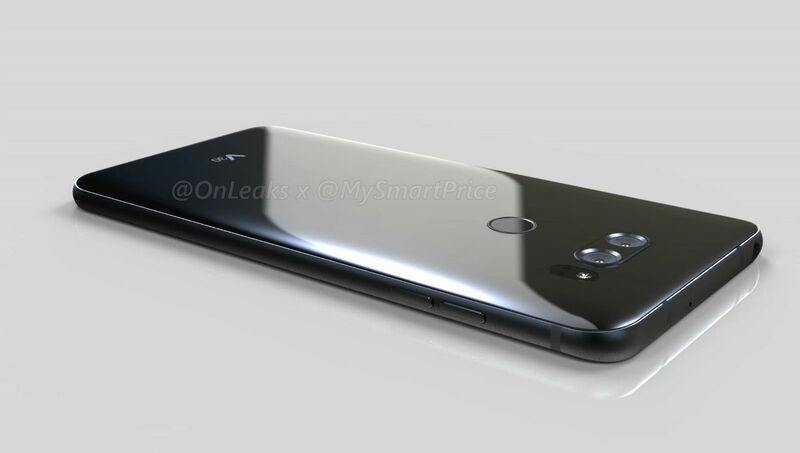 As we approach the reported unveiling timeframe for the LG V30, CAD renders, the kind that are based on measurements sent to accessory makers directly from the OEM, are making their way online. With these CAD renders, we pretty much see what the V30 is all about, and from what we can tell, we’re liking it. The biggest change is the apparent lack of a secondary ticker display on the front. To compare its overall design, it looks like a larger LG G6, which is fine, because the G6 is a pretty well-designed device. On the backside we have dual cameras, along with the fingerprint reader (possibly doubles as power button). On the bottom we have USB Type-C with a speaker port on the right, then a noise-canceling mic on the left. According to the source of these images, we’re looking at about a 6″ display from corner to corner, but not much else is confirmed. We aren’t 100% sure on the processor, amount of RAM, or camera sensor sizes, but all of that will be coming soon in the form of an official unveiling that is reported to happen during IFA in September. Please, V series fans, share your thoughts below.